The Lunar Festival in WoW is loosely patterned on the celebrations that occur on the Lunar New Year in many Asian countries, with most of the customs portrayed hailing from China. 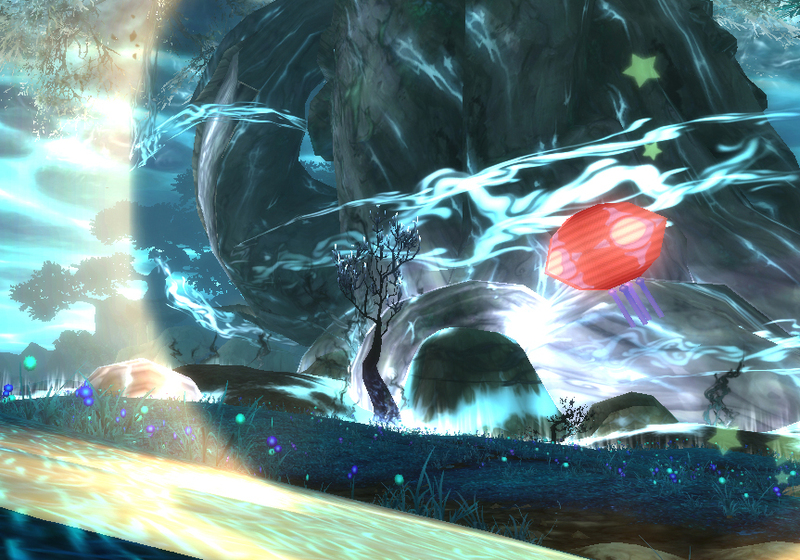 Notable among these for pet battlers is the Lunar Festival Lantern. Over the course of the holiday, you must visit Elders for special tokens. You can then take those tokens and use them to purchase Lunar Festival foods, the high-necked brightly colored gowns and pantsuits, fireworks, and of course, the Lunar Festival Lantern. It’s… oh, what’s that? Yeah, there’s a slight issue here. The reason I personally have the one and not the other is that, since the advent of account-wide pets, I’ve mostly been playing Horde. 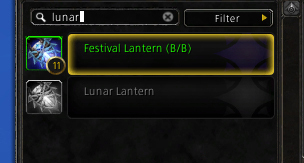 Once a character has collected 50 coins, Valadar Starsong in Moonglade sells Horde players the Festival Lantern, and Alliance players the Lunar Lantern. I never really got around to collecting enough coins, involving quite a bit of laborious travel around the continents, on my Alliance character. If you’re only looking at the movesets, the two are identical. They also share moves with the Enchanted Lantern battle pet which, true to the previous gripe, is crafted by Horde-only enchanters with 525 skill, and all 3 battle pets have identical stats as well. 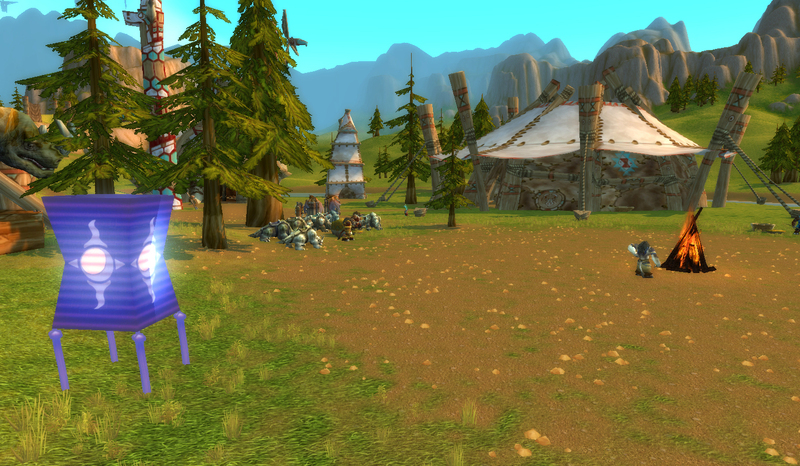 The Alliance enchanting pet, the Magic Lamp, has a vastly different moveset, but identical stats. Luckily, all 4 are also cageable, so if you are diehard FOR THE HORDE, and refuse to even so much as roll an Alliance DK for fast flight and easy Elder NPC visits within a couple hours, you still have some options. Also luckily for the gold makers, like all pets they are account-wide and still command a pretty penny, but especially so if you sell them cross-faction. All 4 also start off as uncommon when attained, making for a really nice payday if you have some flawless Magic upgrade stones kicking around. These lanterns never really had a heyday as battling pets, but they do have a few tricks. They have a really cool 1-2 punch with the blinding Flash and double-hitting when blinded Light. Sharing Light’s slot is the blocking move Soul Ward. Soul Ward works really well against big single hitters, but falls flat against multi-hit opponents because it only blocks one attack. The alternate in the second slot is Illuminate, which causes the Sunny Day weather effect. 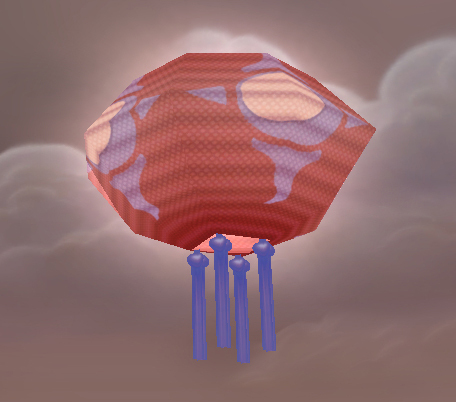 The Lanterns don’t have a move which really benefits from the sun, so you may want to pair this pet with something that does. Both first slot choices are straightforward nukes. Beam is Magic, Burn is Elemental. The former hits slightly less hard and has a slightly higher accuracy as a result. This choice is largely dependent on which pets you’re fighting. If you’re up against any Mechanical, without Burn your lantern is a sitting duck. In the end, the benefit of this pet is more cosmetic than anything. Like the Elders, it is a peaceful memory of a time gone by. This entry was posted in pet profile and tagged auctionable, holiday, magic, trade skill, vendor on January 19, 2014 by Liopleurodon. Unique pets that provide the atmosphere some punch when summoned!